There are two major mobile operating systems. The systems are Apple's iOS with the second system being Google's Android operating system. How do these two compare to one another. In our discussion today, we are going to look at the similarities between these two systems. We'll begin by looking at some statistics. Apple has sold more than 250 million devices that hold the iOS operating system. Now this includes all of Apple's devices which include the iPhones, the iPads and the iPod touches as well as the Apple TV. If you look at the Android system, they have had over 190 million Android activations which is how they refer to their sales. At your first look, you would think that Apple is ahead in sales and in a sense they are. However, it is important to remember that Apple started selling devices with their operating system in it a little under a year and a half before Google released the Android system. For users of either system, they can access the device and lock it pretty much the same way. Again in both systems, the users can add or remove permissions for applications. What this means is that the users can control whether an application has access to certain services or to certain data. In either operating system it is not an easy process to access the hardware. There exists in both systems some intermediary software which lies between the operating systems and the hardware. Both systems have been built to resist any possible attacks from the web. What is interesting to view is the application distribution methods for developers. If you are a developer for an application for Apple, you must submit a binary package and then wait for their team to inspect and approve the application. It can take some time before your application is is accepted for publication and there is always the possibility that it will be be rejected and never get accepted. Another issue that can occur with Apple is that it can get accepted and then for whatever reason at a later date it can get removed from publication. Android developers however have a lot more channels of distribution as the platform can handle more than one application market and the platform can handle over the air applications. 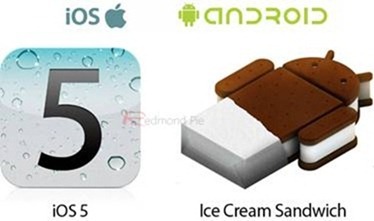 0 Respones to "Similarities Between iOS and Android"